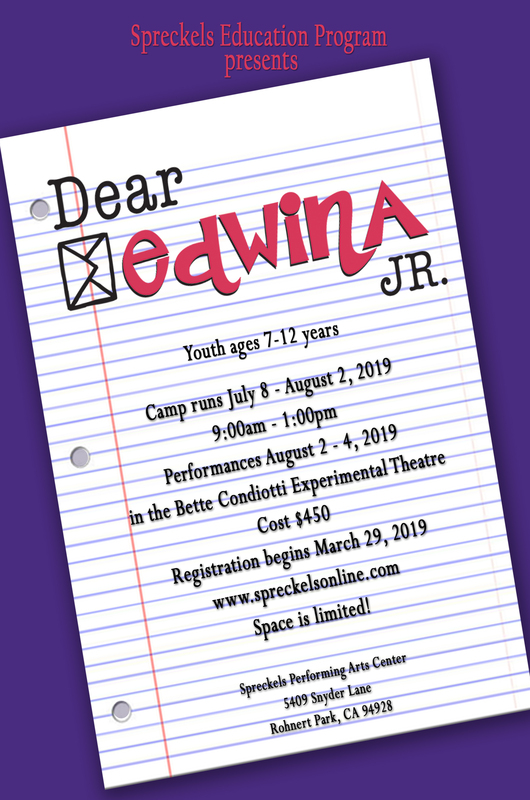 Education Program Camp - "Dear Edwina Jr."
Please note: A registration form will be sent after you have completed the online purchase. These should arrive within a few days. Please complete these forms and return to the box office (in person or via email) before the class begins. For tickets, please call the Spreckels Box Office at 707 588-3400. Box Office hours are Wednesday through Saturday, noon to 5pm and one hour before show time.